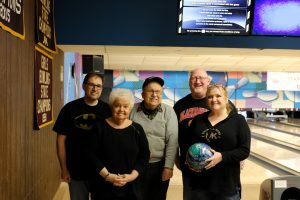 Welcome to the homepage of the Argonne Mixed Bowling League (AMBL)! 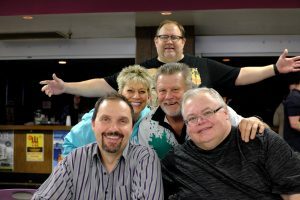 The Argonne Mixed Bowling League (AMBL) meets every Wednesday at Strike and Spare II in Lockport. We are always seeking substitutes who are called on an as-needed basis to substitute for teams in need (1-2 positions per week). The season began September 5, 2018 and runs through April. Lanes turn on for practice at 6:15 and bowling starts at 6:30. Contact Kevin Knoerzer (x3120) if you are interested or would like more information.